Write engaging content that builds your blog and keeps your readers coming back for more! Do you have an organized system for keeping track of all of your blogging ideas and posts you want to write? Do you want to write engaging content, but you find actually creating blog posts to be a struggle? 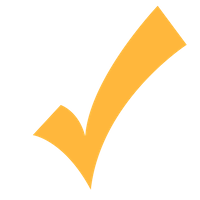 Do you ever wish you could have a checklist of what you should do before, when, and after you write a post? Do you ever find yourself uninspired as a blogger? When I first started blogging over 13 years ago, there weren’t any blogging experts, blogging courses, or blogging how-to manuals. In fact, most people didn’t even know what a blog was! 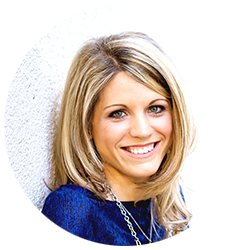 Now, over 13 years later, I successfully run two blogs (MoneySavingMom.com and YourBloggingMentor.com) and an online blogging education platform, and I believe beyond any shadow of a doubt that if I can be a successful blogger, so can you! We created this course to help new bloggers like you find your groove so you can write engaging content, promote your posts, learn about your audience, and organize your post schedule. 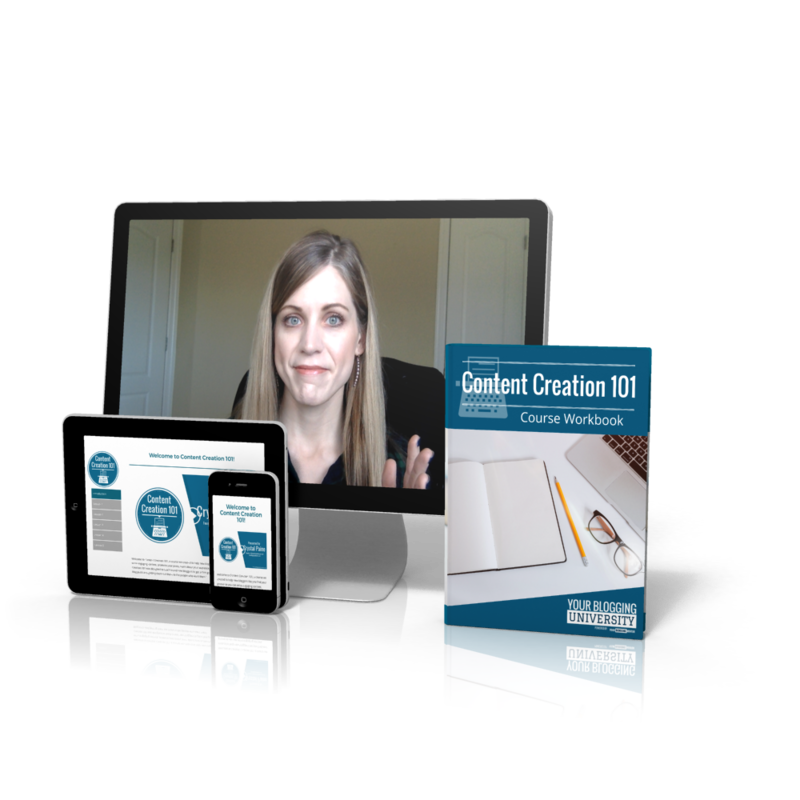 Content Creation 101 was designed to teach brand new bloggers to get a firm grasp on the ins and outs of creating great blog posts and getting them out there to the people who want them! Creating content that brings people back for more again and again requires skill and strategy. That’s why I want to come alongside you in this course to be your coach, to help you create an editorial system or calendar and posting schedule that works for you, and to empower you to write blog posts that actually increase your traffic—and your earning potential! Write effective, engaging blog posts that leave your readers wanting more—no copywriting experience necessary. Design a content system that helps you streamline your workflow. Boost your blog posts’ effectiveness with images and links. Promote your content so you can increase your reach. Organize your content so it’s easier for your readers to find the posts they want. Stay inspired as a blogger so you never run out of content ideas! You’re a new blogger who already has your blog set up, but you’re needing a little extra help figuring out how and when to post your content. You’re an intermediate blogger (earning a part-time income from your blog) and you want a few beginner-level tips to help improve your content strategy. 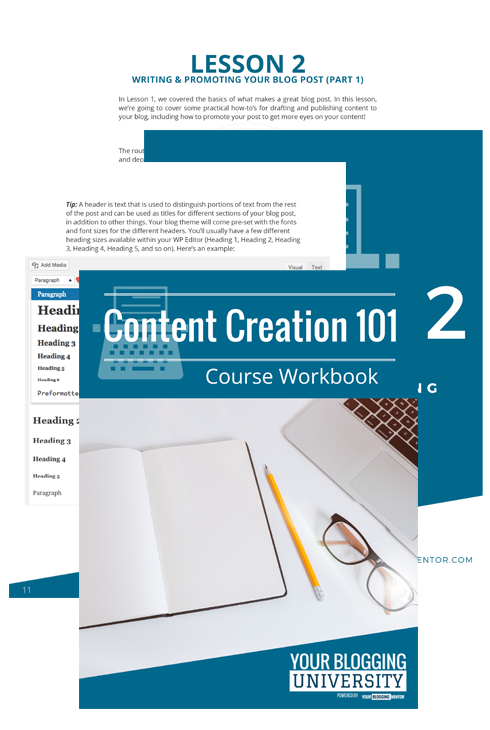 You get overwhelmed with too much tech-y lingo and just need a straight-forward, easy-to-understand guide to help you understand how to create great content and how to get it in front of the right people!. 5 comprehensive lessons covering important topics related to creating great blog posts, organizing your posting schedule, and promoting them to your audience. Daily assignments to help you stay on track while you learn how to create your content and reach your audience. BONUS video tutorials to offer additional step-by-step help so you can learn the skills necessary to create and organize your posts—and more. 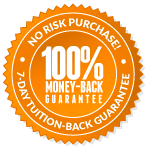 Enrolling in Content Creation 101 will give you access to our unique blogging education platform, Your Blogging University™ —a one-of-a-kind hub for all of our blogging courses! 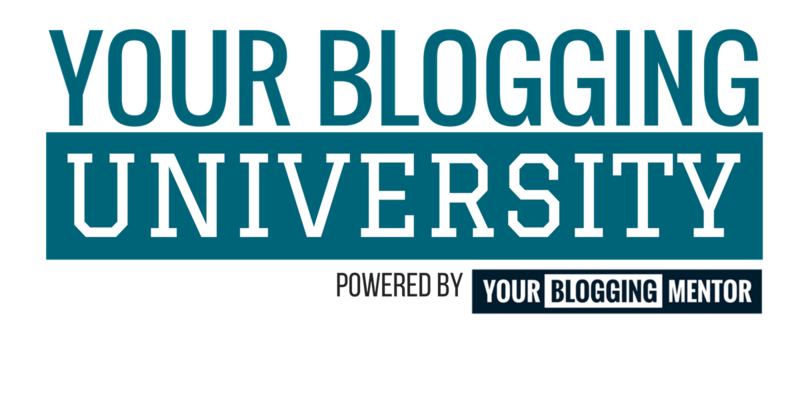 Inside YBU™, you’ll gain quick access to Content Creation 101, along with any other courses you have enrolled in here at YBU™, making it your one-stop-shop for all of your blogging education needs. That means NO more logging into tons of other courses and trying to keep track of your different login pages and passwords! Every course you purchase from us will be right there waiting for you in your student dashboard—forever.